Twelve of the Middle East’s most prominent and influential financiers. Wealth can be ephemeral, as everyone from American homeowners to hedge fund managers knows only too well. The Middle East has experienced as rapid a rise and fall in fortunes as any area of the globe. Record oil prices swelled the coffers of Gulf-based sovereign wealth funds, inflated local bourses and helped finance an unprecedented construction spree in recent years, but a global recession, the drying up of liquidity  and the precipitous drop in oil  have brought many players back to earth. Notwithstanding the new sober mood, many of the regions financial markets and institutions gained a truly global importance during the boom years, and it promises to endure. The regions sovereign wealth funds have become key stakeholders in the world financial system, propping up Western banks and helping set standards for open investment. Innovative financiers have shaken up local markets by bringing private equity and other alternative investment strategies to the area. Middle Eastern banks have established more-sophisticated product ranges and begun to build cross-border empires. In recognition of these developments, Institutional Investor highlights a dozen of the Middle Easts most prominent and influential financiers. Their portfolios and net worths may have diminished along with those of so many others throughout the world, but their ambitions  and their prospects  burn brighter than ever. Click here, to view a slideshow that highlights twelve of the Middle East's most prominent and influential financiers. Founder and Chairman / Kingdom Holding Co.
As a barometer of the vertiginous rise and fall of the Gulfs fortunes, few investors can rival Prince Alwaleed. The Saudi billionaire burst on the scene helping to bail out Citicorp in 1991 and became fantastically wealthy as the U.S. bank recovered. Many of the Gulfs sovereign wealth funds no doubt had Alwaleeds experience in mind when they poured billions of dollars into troubled Western banks over the past 15 months. Alwaleed has paid a steep price over the past year, though, for staying loyal to Citi. When the banks shares dipped below $10 in November, he announced that he would buy more to rebuild his diluted stake to 5 percent. The banks stock continued to tumble, touching a low of $2.80 last month  below the split-adjusted price of $2.98 that he first paid back in 1991  before rebounding modestly. The prince has suffered even bigger losses at his Kingdom Holding Co. conglomerate, which holds stakes in companies such as Apple and News Corp. as well as being one of the biggest investors in Saudi Arabia. Last month the company reported a loss of 29.7 billion riyals ($7.9 billion) for 2008 because of operating losses and impairments in its investment portfolio. As 94 percent owner of Kingdom, which saw its stock price plummet by 62 percent last year, Alwaleed has taken a daunting hit to his wealth. Chief Executive / Mubadala Development Co.
Mubadala Development Co. is tiny compared with the Abu Dhabi Investment Authority, the giant sovereign wealth fund, but it plays a huge role in Abu Dhabis development strategy. That makes Khaldoon Khalifa Al Mubarak an important man in the wealthiest of the United Arab Emirates. As CEO since 2005, Al Mubarak has been investing Mubadalas $10 billion in a bid to diversify the emirates oil-based economy. That he can call on Abu Dhabis oil wealth gives him greater firepower than the firms assets suggest. Arif Naqvi has been stirring things up in the Middle East ever since he pulled off the regions first leveraged buyout a decade ago. Even in todays tumultuous times, the head of the Middle Easts largest private equity firm, Dubai-based Abraaj Capital, shows no sign of easing up. With the collapse of stock markets and the global economic crisis, great regional companies in everything from the oil and gas industry to infrastructure and health care  that we once considered unattainable  should be available at attractive prices, says the optimistic Naqvi, 48. The Karachi-born Naqvi, who has a bachelor of science degree from the London School of Economics, started his career as a chartered accountant in London and later served as head of Middle East business development for one of Saudi Arabias largest trading companies, Olayan Group. He left in 1994 to start a series of small companies involved in everything from fast food to technology before making history in 1999 when he closed the $102 million buyout of retail conglomerate Inchcape Marketing Services. By selling off most of the businesses over the next three years, Naqvi generated a profit of $70 million and gained the reputation he needed to be able to start Abraaj in 2002. Launched with $116 million in seed money, it now has $7.5 billion in assets, or roughly a quarter of all the funds devoted to Middle Eastern private equity. Abraaj has earned 2.9 times its investment on 17 exits, including last years sale of Egyptian Fertilizer Co. to Cairo-based contractor Orascom Construction Industries for $2.69 billion, the regions biggest private equity exit to date. Naqvi also enjoys added clout from influential limited partners, including the Abu Dhabi Investment Authority, Citigroup, Deutsche Bank and members of the royal families of Bahrain, Dubai, Qatar and Saudi Arabia. In September 2008, Naqvi closed the regions biggest private equity fund to date, the $2.5 billion Abraaj Buyout Fund IV. While other private equity firms are under pressure to pay off loans or sell companies at a loss, our timing puts us in an embarrassingly good position to benefit, says Naqvi.  D.L. The Qatar Investment Authority is a relative newcomer to the world of sovereign wealth funds, having been founded only four years ago, but under the leadership of its hard-driving CEO, Sheikh Hamad bin Jassim bin Jabr Al Thani, the estimated $60 billion fund is fast making its presence felt. Initially criticized for making a £10.5 billion (then worth $21.5 billion) bid for U.K. supermarket chain J. Sainsbury in the summer of 2007 and then abandoning it in November of that year, Al Thani was vindicated by the subsequent downturn in the British economy and stock market. Al Thani proved bolder last year when he agreed to invest £2.33 billion  QIA is putting in up to £1.8 billion; Al Thani himself is contributing up to £533 million  in Barclays to enable the British bank to avoid a public bailout. Al Thani used his clout to drive a hard bargain: Barclays is paying 14 percent on the debt portion of the deal. He reasserted the QIAs growing might in October, when the authority took the lead in making an $8.83 billion capital injection into beleaguered Credit Suisse. Al Thanis financial influence looks set to grow even further. Thanks to revenues from Qatars natural-gas reserves, which are among the worlds largest, the QIAs assets are expected to increase rapidly in the years ahead. Born in 1959, Al Thani studied in Lebanon and the U.K. before launching his political career in 1982 as minister of Municipal Affairs and Agriculture. As manager of the Kuwait Investment Authoritys estimated $228 billion in assets, Bader Al Saad has no shortage of capital-hungry suitors knocking on his door. Answering the calls is fast stretching even the KIAs deep pockets, though. Al Saad led the KIA in investing a combined $5 billion in Citigroup and Merrill Lynch & Co. in January 2008, only to face political furor at home several months later when the two banks stocks tanked. More recently, Al Saad has had to turn his attention to the domestic market. After the global financial turmoil sent Kuwaiti stocks plummeting in October  the market fell by a total of 38 percent last year  the KIA, at the governments request, came up with a plan to buy as much as 10 percent of the Kuwaiti bourse to help stabilize the nations financial system. More than half of the countrys listed companies are investment firms or banks, and many of those outfits are now paying a steep price for having borrowed heavily when the Gulf was awash with liquidity. In December, Kuwaits largest investment bank, Global Investment House, revealed that it was in default on certain loan obligations; that same month shareholders of Kuwaits fourth-largest lender, Gulf Bank, approved a rescue plan by Kuwaits central bank to raise 375 million dinars ($1.3 billion) in a rights issue to stanch losses. Late last month the KIA announced that it would absorb 32 percent of Gulf Banks new rights issue  existing shareholders bought 68 percent of the new shares  taking its total ownership stake to 16 percent. Rich as the KIA may be, its resources are not infinite, and such bailouts will be few and far between going forward: Kuwaits finance minister recently said that the KIA would help only those local investment houses whose failure would pose a systemic risk to the Kuwaiti markets. For Al Saad, who has worked hard to instill good governance practices at the KIA  including establishing an independent and autonomous board of directors, the majority of whom are from the private sector  watching so many domestic institutions teeter on the brink of failure must be difficult. But as he asserted at a conference last year, the KIA, as one of the biggest sovereign wealth funds, has a duty to act responsibly and swiftly to help stabilize markets, at home and abroad.  L.A.
Running one of the worlds largest sovereign wealth funds has become much harder, thanks to the financial turmoil of the past year. But Sheikh Ahmed bin Zayed Al Nehayan continues to pursue his vision of turning the Abu Dhabi Investment Authority into one of the worlds most sophisticated investors, not just one of the biggest. Since becoming managing director of ADIA in 1997, the 40-year-old former European equities analyst  who is known for his hands-on management style and who hates being called Your Highness, even though he is the 12th son of Abu Dhabis late patriarch, Sheikh Zayed  has been assembling a group of international portfolio managers to improve the funds performance. But a heavy exposure to equities means ADIA has inevitably taken some hits. A report released by the New Yorkbased Council on Foreign Relations last month estimates that the funds portfolio fell by 40 percent last year, to $328 billion. Other estimates are above $500 billion. Sheikh Ahmed, who had been pushing ADIA into emerging markets, infrastructure, private equity and hedge funds, is taking a more conservative approach in response to the market turmoil. Although 80 percent of its assets are managed externally, and 60 percent of those are in index funds, ADIA has been lowering its equity exposure and increasing its cash position, sources say. ADIAs true size and asset allocation remain a mystery, but that may change. In October, ADIA executives took the lead, along with the International Monetary Fund, in establishing a set of principles that call on sovereign wealth funds to be more transparent in exchange for access to developed markets.  L.A. Many banks have paid lip service to the idea of establishing a network that spans the Gulf region, but only Adel El-Labban has come close to building the real thing. Recruited in 1999 to turn around the small, money-losing, London-headquartered United Bank of Kuwait, El-Labban set out to create a bank that could bridge the regions national markets. He engineered a reverse takeover of UBK by Bahrain-based Ahli Commercial Bank of Bahrain in 2000, then bought Commercial Bank of Bahrain in 2001 and Bank of Kuwait and the Middle East in 2002. El-Labban rechristened the group Ahli United Bank and made four more cross-border acquisitions over the next five years. From 5,000 clients, $2 billion in assets and no profits, El-Labban built what is now Bahrains largest bank, with assets of $25.3 billion; strong corporate, investment and retail operations; and 103 branches in Britain, Egypt, Iraq, Kuwait, Oman and Qatar. Profits for the first nine months of last year rose 24 percent, to $280 million. We saw an opportunity for regional synergies before others did, and that has allowed us to grow exponentially, says El-Labban, 51, who has a masters degree in economics from the American University in Cairo. The son of an Egyptian deputy foreign minister, El-Labban began his career as a credit officer at Chase Manhattan Corp.s Egyptian subsidiary in 1979, then worked his way through banking circles to become general manager of Egypts Commercial International Bank in the 1990s before taking on his current role. El-Labban wants to buy banks in all Gulf markets, leaving Saudi Arabia, the United Arab Emirates and Yemen on his to-do list. We know where we want to acquire and who we want to buy, but dont expect any action for at least six months, El-Labban says. The full implications of the global liquidity crisis are not clear, and the dust has to settle on banking books before we proceed.  D.L. If oil-rich Saudi Arabia is the economic linchpin of the Middle East, the man behind the Kingdoms financial stability is Hamad Al Sayari, who has been governor of the countrys central bank since 1983. 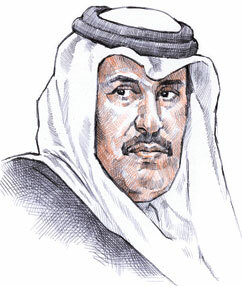 Through two Gulf wars and periods of rock-bottom oil prices and severe government deficits  as well as during boom times  Al Sayaris sound interest rate policies and strictly enforced banking regulations have kept the countrys financial system in good health and its currency, the riyal, rock-solid. To counter rapidly falling oil prices and the global liquidity squeeze that hit in October, he pumped $5 billion into the financial system through medium-term bank deposits and cut bank reserve requirements to 7 percent from 13 percent of risk-weighted assets. The moves should make it easier for Al Sayari to achieve one of his biggest priorities: providing banks with sufficient liquidity to fund $400 billion in infrastructure projects over the next decade, including new cities in the desert as well as power and water treatment plants. With the country holding estimated foreign exchange reserves in excess of $300 billion, Al Sayari, 67, has also emerged as a formidable defender of the riyals fixed exchange rate against the dollar. He firmly resisted pressure from other Gulf countries to abandon the dollar peg and let the riyal rise, a move that might have derailed a Saudi plan to create a single currency for the region. Now that both regional and global inflation are receding, Al Sayari is earning kudos for his steadfastness. Having earned a masters in economics from the University of Maryland, Al Sayari taught economics at the Institute of Public Administration in Riyadh before helping to kick-start the Kingdoms early efforts at economic diversification, first as secretary general of the Public Investment Fund for 1973 and 74, and then as founder and director general of the Saudi Industrial Development Fund until 1979, when he joined the Saudi Arabian Monetary Agency as controller general. Named acting governor in 1983, he was confirmed as governor in 1985 and today is the worlds longest-serving central bank chief.  D.L. Talk about experience. Abdullah Salim Bahamdan has spent 52 of his 71 years at Saudi Arabias National Commercial Bank, the largest lender in the Arab world. But its his most recent experience that stands out. Named chairman in 1999 after soured investments and corporate loans prompted the Saudi government to take over the bank, Bahamdan has spent the past decade restoring NCBs balance-sheet health and building the bank into one of the regions most modern and diversified banks. It is owned 80 percent by the government and 20 percent by Saudi investors. The Yemeni-born Bahamdan moved to Mecca as a child, when his father set up a modest textiles trading operation there in the 1940s. With only a high school degree, he joined NCB as a clerk in 1956, then rose steadily to become head of the banks business in the Riyadh region before taking the top job. He stabilized the bank by boosting bad-loan provisions and introduced rigorous risk management. He then set up successful information technology banking operations, shifting the groups retail banking focus to fast-growing Islamic banking products and launching fund management and investment banking joint ventures with HSBC Holdings and Goldman, Sachs & Co. NCB is the biggest fund manager in the country, with more than $6 billion in assets. In 2007, Bahamdan bought 60 percent of Türkiye Finans Katilim Bankasi, an Islamic bank in Turkey, for $1.1 billion. With 266 branches in Saudi Arabia and corporate banking operations in Lebanon and Bahrain, NCB has $55.7 billion in assets. Bahamdan wants it to grow bigger once the financial crisis eases. The liquidity shortage will mean stiff competition for deposits, subdued growth and generally higher risks, says Bahamdan.  D.L. Mohammed AlGergawi is the second-most-powerful man in Dubai thanks to his close relationship with the emirates ambitious ruler, Sheikh Mohammed bin Rashid al-Maktoum. As chairman of the rulers Executive Office, an arm of the Executive Council (which represents the government of Dubai), AlGergawi helped create Dubai Holding in October 2004 to consolidate Sheikh Mohammeds various infrastructure, real estate and investment projects under one corporate umbrella. Using that holding to promote Dubais economy, AlGergawi has since undertaken the development or reorganization of a remarkable range of companies, from hotel chain Jumeirah Group  which built the iconic Burj Al Arab, a spinnaker-shaped hotel that is the unofficial symbol of Dubai  to Dubai International Capital, a private-equity-focused investment firm that oversees $11.5 billion in assets for the sheikh. Some of the shine has come off the Dubai model over the past year as the global credit crisis has intensified. The state and its affiliated enterprises relied heavily on leverage to fuel their phenomenal development, leaving them with a debt burden estimated at $80 billion, roughly equivalent to the emirates gross domestic product. 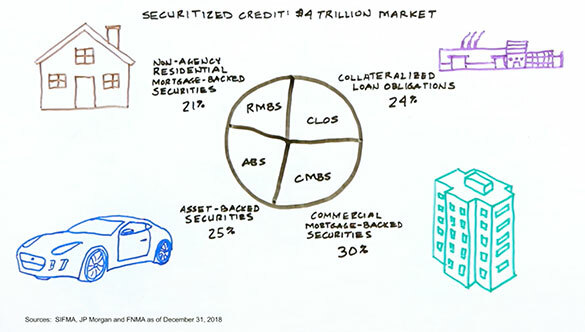 As a consequence, credit default spreads on state-owned institutions have widened to as much as 1,000 basis points over the past three months, according to New Yorkbased ratings company Fitch Solutions, and the economy has slowed: Standard & Poors estimates that the emirates GDP growth rate will drop from an average of 15 percent in recent years to just 6 percent in 2009. Eager to protect Dubais reputation as the financial hub of the Gulf region, Sheikh Mohammed in late November set up a nine-man advisory council to tackle the effects of the global financial crisis. AlGergawi, as one of the new councils members and the United Arab Emirates minister of State for Cabinet Affairs, will play a leading role in crafting government measures to combat the crisis; these could involve financial support from Dubais UAE neighbor Abu Dhabi. Difficult as the crisis may prove for Dubai, AlGergawis political star continues to shine brightly. If he succeeds in helping stabilize Dubais economy, his power in the emirate  and more broadly, across the UAE  is likely to grow.  L.A. When investors need to cut through the notorious red tape of the Gulfs biggest economy, the man they go see is Amr Al Dabbagh. The 43-year-old executive, who holds ministerial rank, has pushed through corporate tax breaks and streamlined the registration process for new businesses as head of the Saudi Arabian General Investment Authority for the past five years. The results are impressive: Inflows of foreign direct investment have surged more than 12-fold, to $23 billion last year, the most of any Middle Eastern country. Al Dabbaghs challenge is to preserve those inflows in todays harsh economic environment. He oversees a monumental investment project that aims to build four to six new cities from scratch, at a cost of more than $40 billion, and diversify the Kingdoms oil-based economy by promoting new industries, such as information technology and plastics. The cities are projected to house 4.8 million people by 2020 and to boost the countrys economic output by $150 billion, or nearly 30 percent of current GDP. Construction began on the first of the cities, King Abdullah Economic City, located 100 kilometers north of Jeddah on the Red Sea, in 2006. The first ten apartment buildings and a half dozen plants specializing in plastics are due to be completed by the end of March. Al Dabbagh intends to rely on private investment to finance the cities development, but that may prove tough if the current economic crisis persists. Al Dabbagh earned his reputation for dynamism at Dabbagh Group Holding Co., a sleepy trading firm founded in 1962 by his father, Abdullah, a former Agriculture minister. Working as chief executive from 1991 to 2004, Al Dabbagh turned the group into one of the Kingdoms fastest-growing holding companies, with interests in telecommunications, energy, food, real estate and financial services. In 1999 he founded the Jeddah Economic Forum, an annual gathering of regional movers and shakers modeled on the World Economic Forum in Davos, Switzerland.  D.L. The hard-charging Hassan Heikal was one of the first bankers in the Gulf to spot the growth potential of its regional markets, and in 2005 he turned EFG-Hermes into the areas biggest investment bank by expanding its core brokerage operations into Kuwait, Oman, Qatar, Saudi Arabia and the United Arab Emirates. The Cairo-listed company is now among the top two brokerage firms in most of those markets and is the Gulfs largest fund manager. But with many regional stock markets down more than 50 percent over the past 12 months, EFG-Hermes is feeling the pain. Assets under management have shrunk to $5.2 billion from a peak of $9 billion last June, and net profit fell 79 percent in the third quarter of 2008, to 156.1 million Egyptian pounds ($28.2 million), from a record £E757.7 million the previous quarter. Over the same period revenues dropped 33.8 percent, to £E576.5 million. The companys £E6.6 billion market capitalization is one quarter of what it was a year ago. EFG-Hermess main regional competitor, Kuwaits Global Investment House, defaulted on most of its $2.7 billion in debt. Heikals firm has no leverage and has $550 million in cash on its books. Heikal and his co-CEO, Yasser el-Mallawany  who played a key role in rescuing the bank from near-insolvency in 2002  have cultivated a solid lineup of shareholders. The largest, with 25 percent, is Dubai Group, a multibillion-dollar investment vehicle owned by Dubai ruler Sheikh Mohammed bin Rashid al-Maktoum; the second largest, with 7.5 percent, is the Abu Dhabi Investment Authority, one of the worlds richest sovereign wealth funds. Considering the carnage around us, were in good shape, asserts Heikal.  D.L.